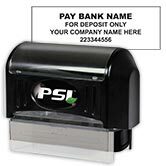 Get an easy-to-use check writing system in an affordable package deal! 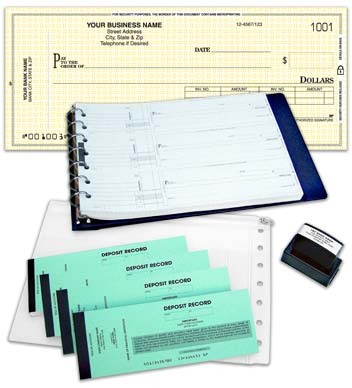 This manual check kit features the versatile Payroll Invoice Checks. Similar to our standard Payroll Checks, this design places the invoice boxes flush right underneath the total dollar amount. There's also a removable stub for employees detailing hours, deductions and more. Your check kit also includes a durable, 7-ring binder with a checkbook organizer insert, 200 booked deposit tickets and a pre-inked Endorsement stamp. Order your own Payroll Invoice Check Kit today and take care of business!